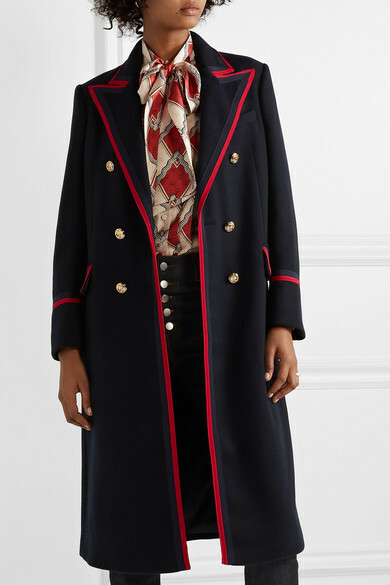 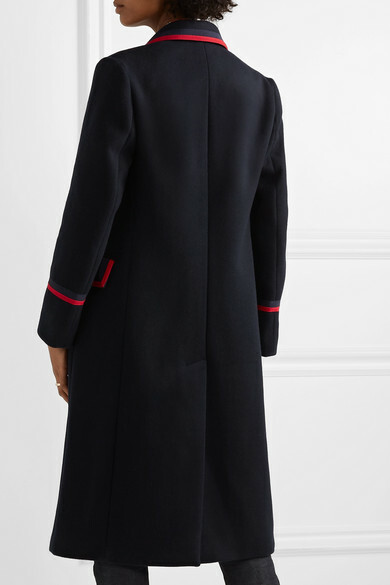 Alessandro Michele is known for refreshing even the most classic Gucci pieces with eclectic details - the phrase Dans mon pays on m'appelait l'amour, meaning 'In my country, my name was love', is stitched into the satin lining of this coat. 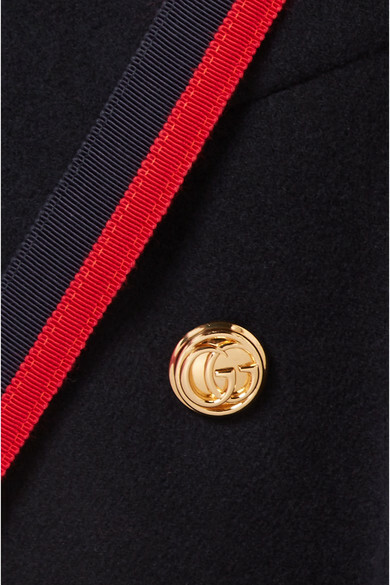 It's tailored from substantial wool-blend for a loose fit and accented with the house's iconic grosgrain webbing and gold 'GG' buttons. 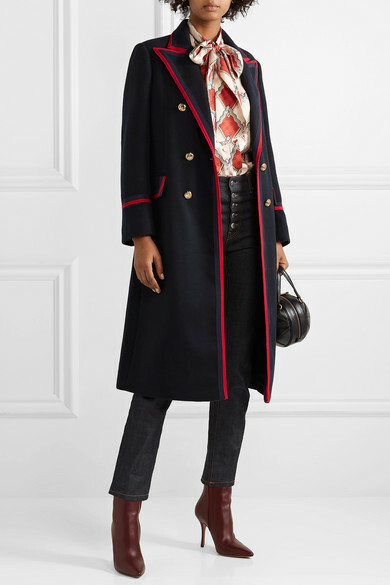 Shown here with: Joseph Jeans, Gucci Top, Gucci Shoulder bag, The Row Ankle boots, Laura Lombardi Earrings, Loren Stewart Ring.